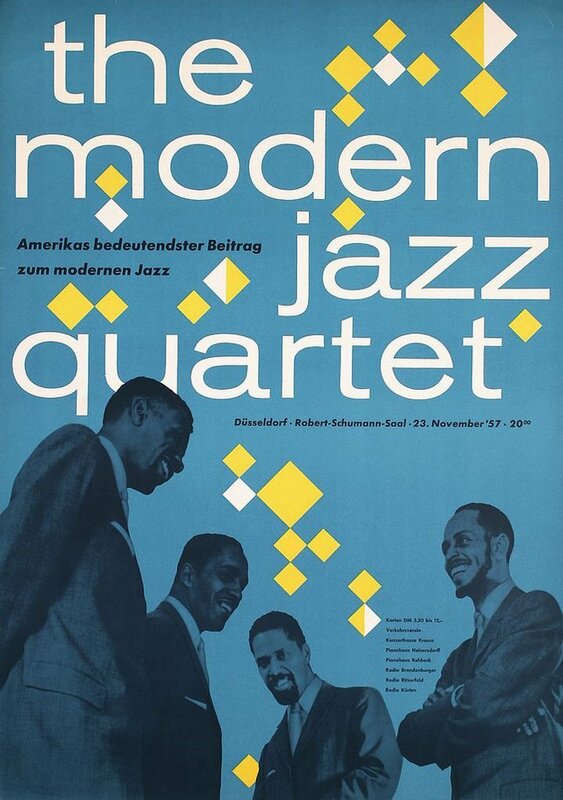 the modern jazz quartet in Düsseldorf, Germany, 1957. Unknown designer. Via ideenstadt / flickr. “America’s most important contribution to modern jazz”.